Цагаан Cар (pronounced Tsagaan Sar), which translates to White Moon, is the three-day Mongolian celebration honoring the lunar new year. 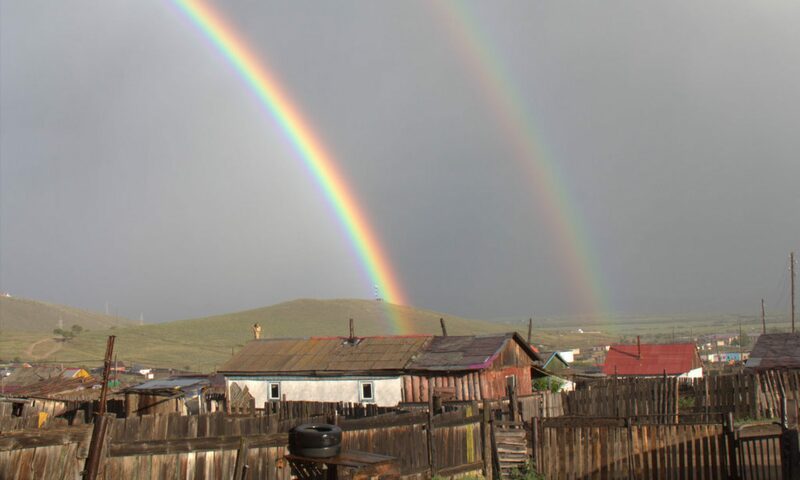 This year for Tsagaan Sar, two of my friends and I went back to visit our respective host families in Selenge, where we lived for two and a half months this summer. Arriving in Selenge required two approximately 7-hour bus rides: one from Arvaikheer to Ulaanbaatar, and the next from Ulaanbaatar to Selenge. Including travel days, we were away from site for 5 days, which meant we got to spend three whole days with our families. Unfortunately, we were only in Selenge for the first two days of Tsagaan Sar and were travelling back on the last day. The three days of Tsagaan Sar typically involve visiting families. On the first day, family elders are visited; on the second day, nuclear and extended family members are visited; finally, on the third day, friends are visited. People both visit other homes and host visitors, so Tsagaan Sar scheduling can be a bit difficult. It was wonderful seeing my host parents and host brothers again! My first full day in Selenge, I helped my family prepare for Tsagaan Sar, which mostly entailed cooking: meat, potato salad, and egg salad. Buuz is the main feast during the holiday, so luckily my family had already made and frozen their 1,500 buuz. The table was also decorated with a sheep’s bum of which people cut and eat slices throughout the day and a pastry/candy tower. The morning of the first day of Tsagaan Sar, the men climb a mountain to watch the sunrise, while the women prepare the house for visitors. Once the sun has risen, the women are greeted by the men. After this ritual, my host father had to work, so I went with another PCV to visit families we knew in our soum. At each house we visited, we were offered buuz (Mongolian dumplings) and vodka; this meant we were a bit tipsy, to say the least, and very full. Luckily, the second day, my host father was free, so we went out to the countryside to see my host mother’s sister and her family. We spent the entire day in the countryside with cows, goats, sheep, horses, and hunting dogs. This was the longest I’d spent in the countryside, and it was an entirely new and extremely appreciated experience. The next morning, with a sad farewell, we left to return to Arvaikheer. Upon arriving in Arvaikheer, we did not go back to school because……. we had a week-long Tsagaan Sar break (gotta love Mongolia and all its school breaks)!! Little did I know that my Tsagaan Sar visits were far from over. For the next two weeks, I visited various teachers’ and community members’ homes. Since presents are given to visitors by the host, I finished the holiday with many wonderful trinkets. When school started again, I was hoping to get back into the swing of classes. Yet this was not to be. In my first two days back, I only attended one class, which turned out to be a shagai competition (Mongolian traditional ankle bones game). Not only did I attend, I also participated in the competition. We played various versions: one was like jacks, a “horse race”, and a shagai flicking game. However, this was a competition in one class. The next day, I was called to the gym frantically. It turned out, that there was an entire school competition in three categories: deel fashion, shagai tournament, and wrestling. Students were in and out of the gym the entire day, so I’m still unclear whether any classes were taught and if they were even attended. What was clear however, was the excitement of all the students, especially during the wrestling competition. In Mongolian wrestling, the goal is to take your opponent to the ground. The students were split from 6th-8th grade and then 9th-12th grade. This meant that boys of various ages, heights, and weights were pitted against one another, making for quite the interesting matches. What I enjoyed most of all, was seeing families and communities come together in their pride for their culture and the holiday. I am excited to celebrate Tsagaan Sar in Arvaikheer next year!